This week, I had the opportunity to test out the new Masik Collegiate Fragrance line, and readers, I think I’m in love! 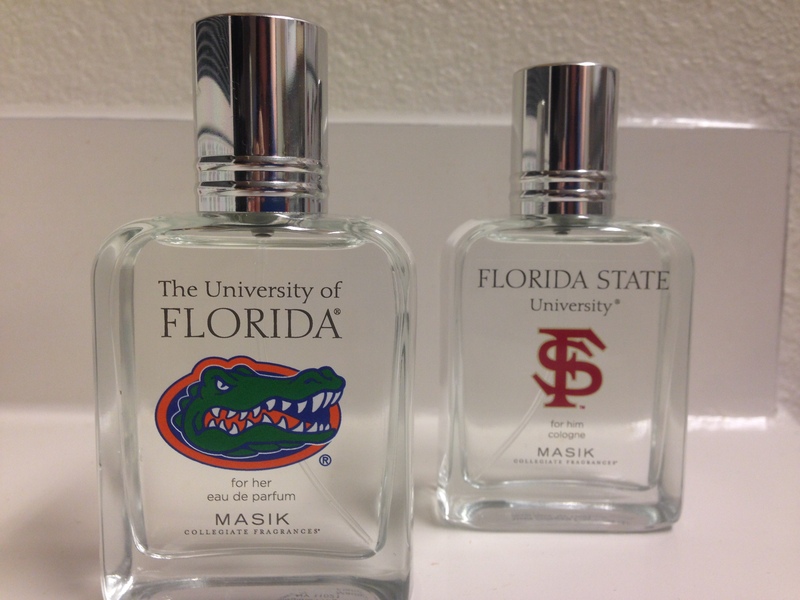 For those of you who are unfamiliar with the brand, Masik Collegiate Fragrances are the signature perfumes and colognes for several universities throughout the United States. Each scent is inspired by the traditions, buildings and local plant-life of the university it represents, so as a fan of all things college, I couldn’t wait to try a few! Because my university is young and does not yet have its own fragrance, I decided to sample the fragrances from two other Florida universities that many of my readers have attended: University of Florida and Florida State University. With a few Gators in the family, I was especially excited to try the UF women’s perfume. Infused with crisp pear, juicy mandarin and cedarwood (among others), the perfume has a fresh, citrusy scent that is definitely reminiscent of the Sunshine State. I was surprised to discover that the UF scent actually reminded me a lot of my own alma mater, the University of Central Florida, because of our own citrus ties! 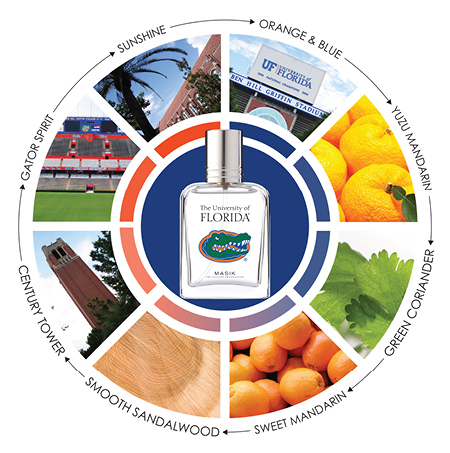 Whether you’re a Gator or simply looking for a fun new perfume, you will love the UF scent. For my male readers, Masik also offers a men’s cologne for UF fans, complete with yuzu mandarin, green coriander, mint, clary sage, violet leaf, white sambaca, amber, white musk and sandalwood. In addition, I sampled the men’s cologne from Florida State University, another wonderful scent that I would recommend to all the male Seminoles out there. 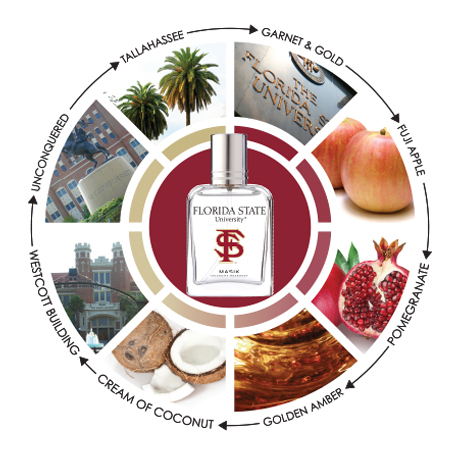 The cologne, with oakmoss, Fuji apple, Meyer lemon and more, is meant to capture “the pride and determination of the Seminoles.” The scent is strong but not overpowering, and definitely one that I encourage Florida State students to try out. Ladies, if you’re a Seminole or simply a fan of the university, the FSU perfume is infused with pomegranate, pink peony, juicy nectarine and other scents. As a recent college grad who is still especially nostalgic for my days on campus, I love the idea of a collegiate fragrance line and can only hope to see my own university represented someday (nudge, nudge). 🙂 Go Knights!